There are very few places where a bug for watching you cannot be secreted, either at home or in the office. However, there are places that are more likely to be used for numerous reasons. Knowing this can help you decide whether you need a sweep for hidden cameras. The two main things that will decide where someone places concealed watching equipment are how well it disguises or hides it, and whether it offers the line of sight that they require. There is little point having a well-concealed camera that shows nothing of use to its owner. This is why, during a bug sweep by a private investigator, such surveillance bugs are often found in smoke detectors. These offer great coverage of the surrounding area and plenty of space to hide the camera. As most smoke detectors are above normal eye view, the lens is unlikely to catch your eye or draw attention to itself. Counter surveillance operations also often find cameras in air vents for similar reasons. Fixtures such as mirrors are ideal places to hide cameras, particularly if the camera is installed into the mirror, or it’s surrounding, before it is placed in your home or place of work. The assumption here is that you will assume that any art of the lens that is visible is part of the decoration, rather than someone spying on you in private. Other places private investigators often find such devices during sweeps are chosen primarily for their ease of access. Plant pots, bushes, bunches of flowers and even cuddly toys can all be used to camouflage a watching device or other bug. If you discover anything unusual, then it is time to call in an investigator from Advanced Sweeping. Our private investigators are available at short notice to sweep for hidden cameras or listening devices. 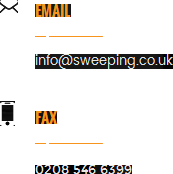 You can contact the team securely on 0845 512 1552 or discover more about our services at http://sweeping.co.uk/ and protect your security.